A strong brand and a big social media following can only get your small business so far. Facebook has over 2 billion users, making it the biggest social media network across the globe. But how many of those billions of potential customers follow your brand’s page or purchase your products? Every year, Facebook’s user base grows while its organic reach shrinks. That means it gets harder to reach your target audience by posting great content or eye-catching images alone. To increase brand awareness, grow your customer base, and drive sales in every season, your natural food brand needs Facebook Ads. After all, almost 20% of time spent on smartphones and tablets is on Facebook. * That means you’d be hard-pressed to find a better place to connect with your target market. Still on the fence? Your competitors aren’t. Nearly a quarter of Facebook Pages already use paid ads to promote their brands. ** Since Facebook Ads can easily work with your budget, they offer a smart way to boost your digital marketing strategy while staying ahead of the curve. Get your brand in front of your ideal customer. We create the ultimate target audience for every campaign — to ensure that your ad reaches the right people without wasting your ad spend. Increase brand awareness and reach new customers — with measurable results. Whether you’re new to the supermarket or you’re planning for serious growth, you need to spread the word. Our awareness campaigns put you in the spotlight and help your brand stick. Drive sales and send shoppers to your ecommerce site. We design conversion campaigns to help you meet your sales goals. With Facebook’s high-level tracking, we can gauge what makes customers browse and buy — so you get the most out of every ad dollar. How do you know we have what it takes? 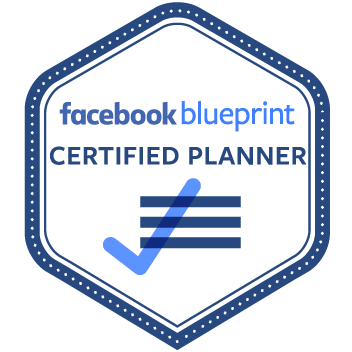 Anna Sonnenberg is a Facebook Certified Planning Professional and holds an expert-level Facebook Ads credential. We also have almost five years of experience with Facebook Ads for food and beverage brands — so we’re in a prime position to promote your business.